Panneerale folded in almond cream makes for a delicate dessert that’s nothing like you’ve ever tasted. My curiosity got the better of me and I ended up buying a quarter kilo of panneer. Shake the fruit and it sounds hollow, the seed rattling within its core. They were still unripe, so I circulated a photo on Twitter, and suggestions poured in – raw kokum, guava, yellow mangosteen. It was writer Mahesh Rao who identified the fruit correctly as Syzygium jambosor rose apple. He also told me that in Kannada, the fruit is called “panneer” or “pannerale”. Just then writer Srinath Perur tweeted to say that the fruit is a “delight” and it gets “sweeter and rosier as it ripens”. Clearly, Karnataka-based writers know their fruits. Method For the base * Melt butter and keep aside. * Crumble the digestive biscuits in a mixer until they become fine crumbs. * Add the melted butter and mix well. * Put the mix into your tart/ pie tin and spread evenly on to the base and the sides. * Use a steel katori to even out the mixture. * Place it in the fridge to chill. For the filling * Beat the cream, butter and sugar until light and fluffy. * Add the eggs and beat for a minute. * Add the ground almonds and almond extract and mix well. * You can replace the extract with vanilla, but the flavour will be less intense. Putting together the tart * Preheat the oven to 180C/ 350F. * Cut off the ends of the rose apples. * You can cut thin slices or thin rings. * Arrange these over the biscuit base. * Now spoon the almond cream/ frangipane filling on top evenly. * If you like, you can top it with almond flakes or shredded almonds. 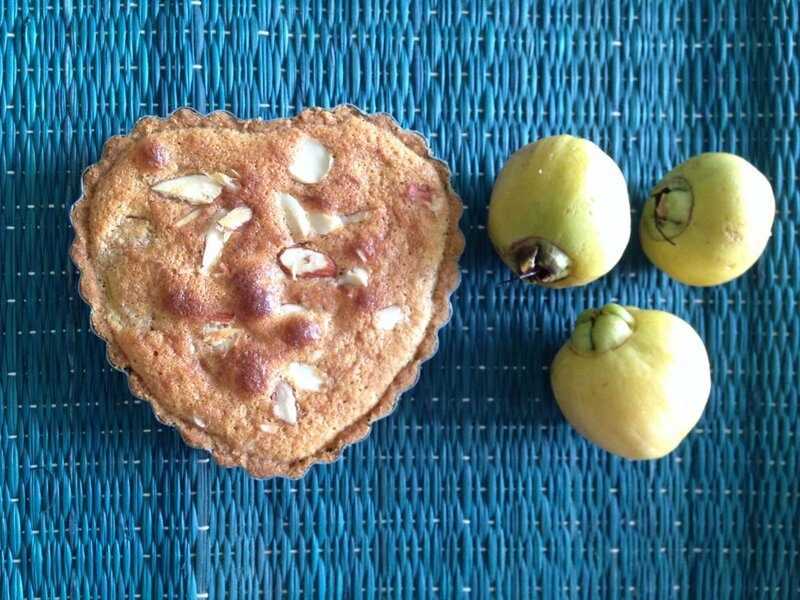 * Bake for 20 minutes or until the frangipane is nutty brown and set. * Serve warm with ice cream.